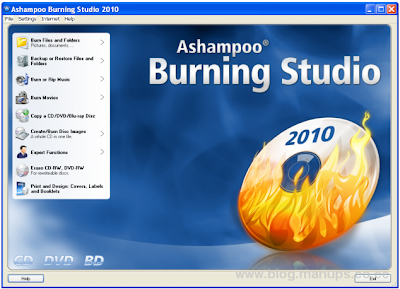 Ashampoo Burning Studio normally cost $49.99 for single user license. In joint promotion with Computerbild.de, Ashampoo is giving away the full commercial version of Ashampoo Burning Studio 2010. Interested users can now get a free genuine license for Ashampoo Burning Studio 2010. 2.Fill in the form by enter a valid email address, then click “Send” button to register. 3. An email from “Ashampoo ” will be sent with a conformation link. Click on to the URL link location highlighted in the email to proceed. 4.User will be automatically directed to a web page to fill in the name and other information. 5.Upon completed registration, Ashampoo will send another email with the subject of “Your registration – Ashampoo® Burning Studio 2010 (F_asv_ru) (English)” which contains Ashampoo Burning Studio 2010 registration key. 7.Enter the serial license key given to enjoy the free powerful application.